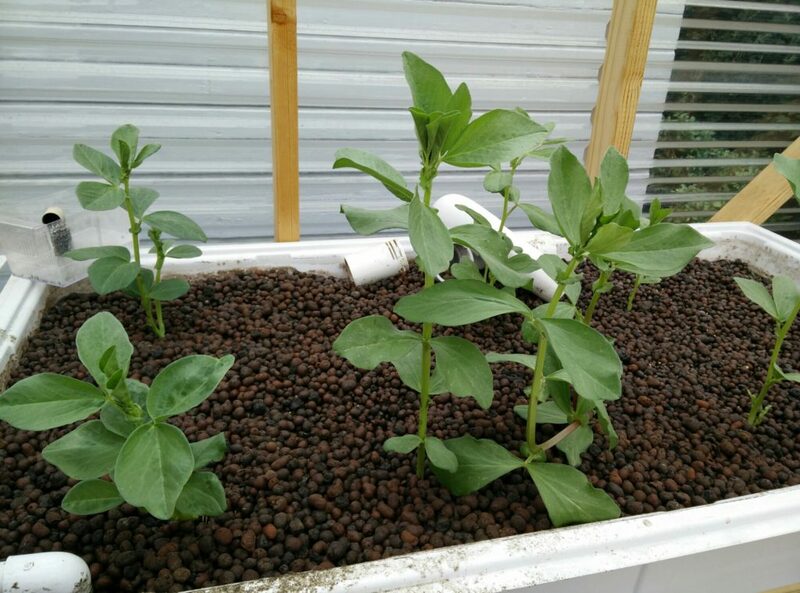 Fava beans growing from seed for three weeks. Pulled out ask the lettuce and watercress that were stunted and not doing well to start over. 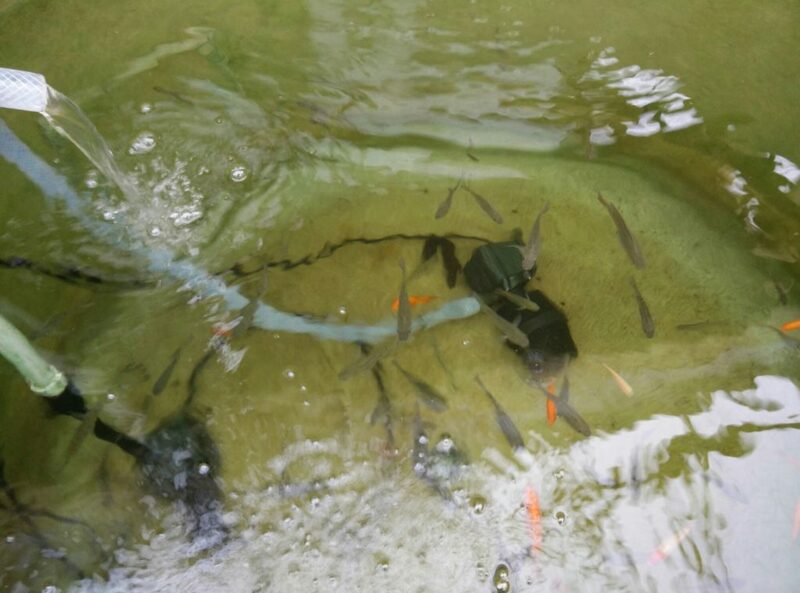 The fish are about two to three inches now.